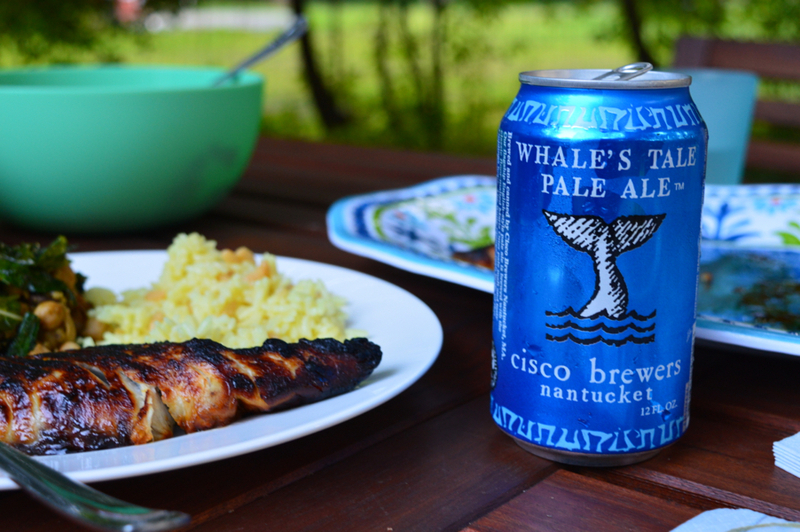 Heres something to wrap your head around - bluefish that actually tastes delicious! I'm not kidding, this is 100% a true story. I've never been a big fan of bluefish - their sharp teeth and oily, fishy and worst of all blue meat, make them less than desirable. For a long time Ryan and I have tried to figure out a way to like these fish, considering every once in a while one steals his bait and he ends up with one. This time around, however, we have a winner. Would you believe me if I told you the perfectly caramelized, extremely tender and tasty looking fish below was bluefish? Oh the magic of a marinade. After catching his latest bluefish, Ryan texted me to say that we would be having one for dinner. I was less than thrilled. He texted me to ask what a good side would be for the bluefish and my only thought and response was "ick, nothing". I quickly changed my mind after trying one bite. The best part about this dish? It only needs two ingredients, the fish of course, and red wine vinegar. That's it. 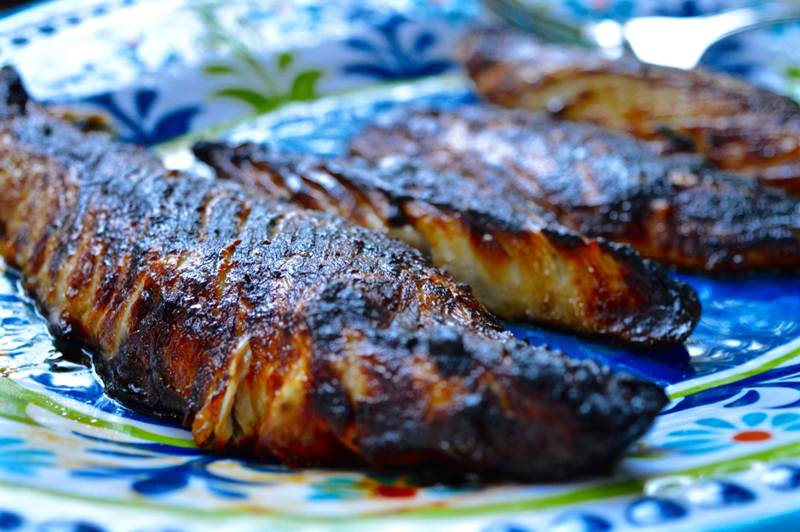 Marinate the fish with the vinegar for anywhere between 30 minutes to two hours, then you broil it, bake it and eat it. Simple as that, and surprisingly delicious. Ryan did the shopping for our ingredients and came home with blush wine vinaigrette, which is basically the same thing. Either way, the vinegar is what is truly important here to draw out the oily-ness of the fish. I served this dish with some simple rice pilaf and another recipe of my own, sauteed mushrooms, chickpeas and kale with pesto. It's a simple side to put together and everything can be made at the same time effortlessly. You can find the recipe for the chickpeas and kale on my website by clicking on the link below. 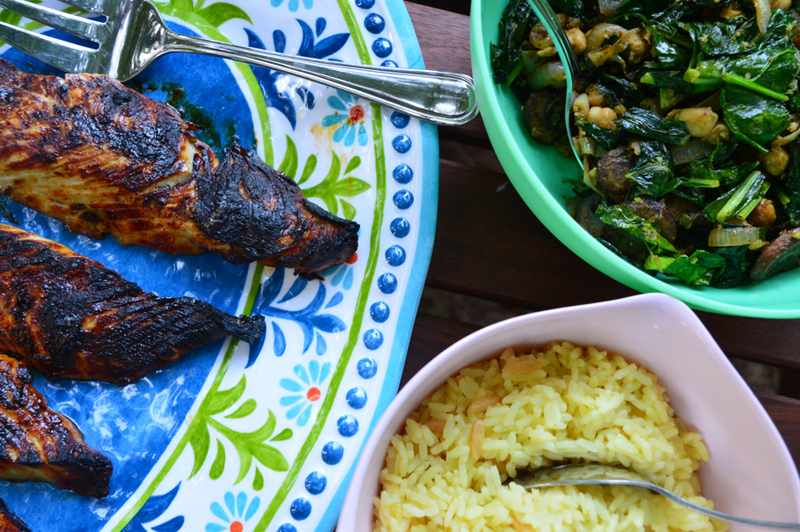 The fish didn't need any lemon, butter or other seasonings that you would think to serve with fish. It truly needed nothing but a fork to eat it. 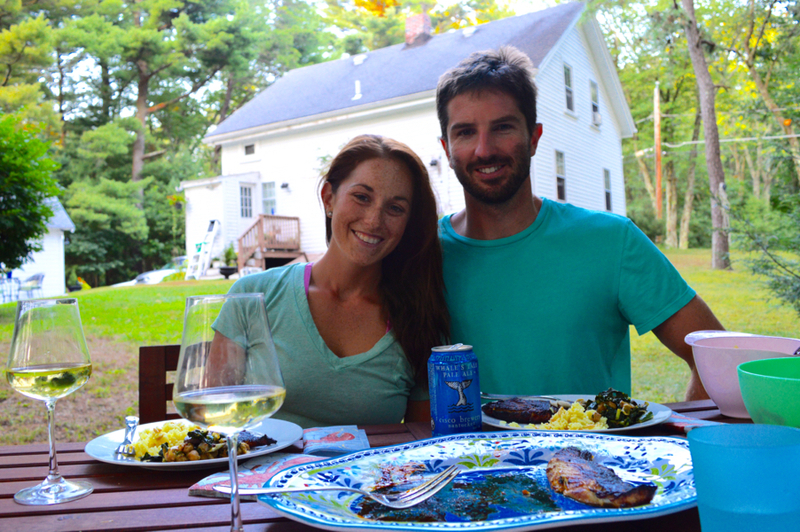 Be brave, try something new, and sink your teeth into a bluefish - you'll be glad you did. In a deep dish, arrange the bluefish in and pour the vinegar over the fish. Let it marinate for at least 30 minutes or up to two hours. Set the broiler to high and arrange a baking sheet with tin foil. Arrange the fish filets on the baking pan and broil on the second to top rack for 10 minutes, letting it caramelize. Watch carefully - the fish can easily burn. Any idea how this would work cooked on a grill? It’s not a flakey fish so it should stand up well to the grill. I hope you enjoy it! I told my wife about the bluefish recipe and she was wondering what you thought about using Balsamic vinegar. Yes I love the idea of using balsamic! It would give it a really nice sweet-caramelized flavor. I actually had suggested that to Ryan when I was making this – my only thought is that balsamic can be very salty, so I’d just be careful with what kind of balsamic you use. Thanks for reading! Can you pan fry it instead of using the broiler? 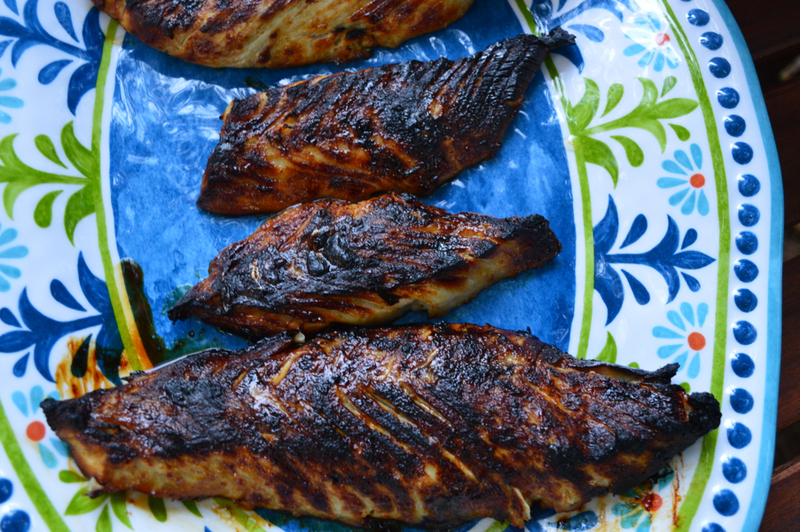 Can you fry the fish in butter instead of broiling? It would be a completely different recipe if you pan fried it in butter – broiling it with the vinegar will give it a caramelized finish and will cook away the oiliness of the fish. Pan frying in butter isn’t something I have tried, but I have baked the fish with potatoes, garlic, onion and olive oil with some herbs and it came out great!